← My personal recommendations for your trip to Vegas – only 2, so they’re pretty serious! Paper mess is pretty much my biggest culprit. DO NOT LET YOUR MAIL STACK UP. 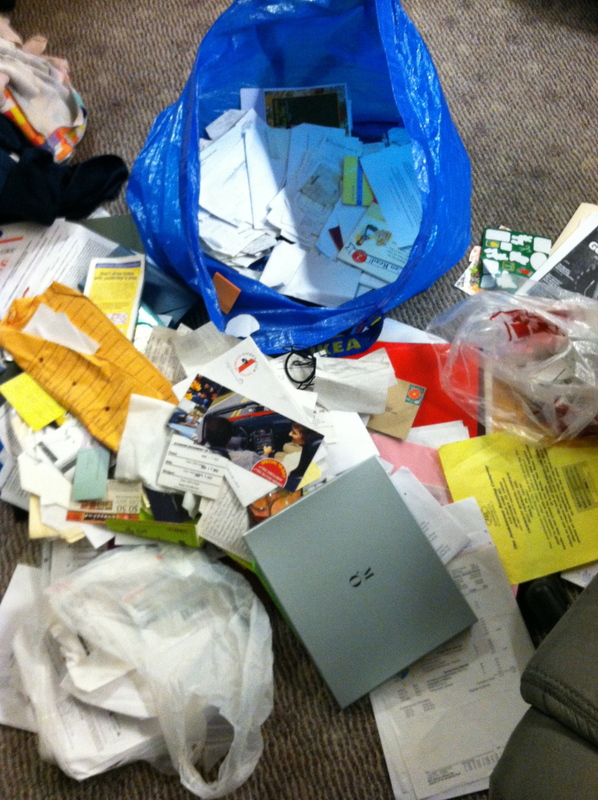 DO NOT HOLD ON TO OLD THINGS LIKE LETTERS, ARTICLES, PAYSTUBS, CLIPPINGS, BUT MOST IMPORTANTLY JUNK MAIL! Oh, wait, also RECEIPTS. You don’t hang on to those, right? If you do need to, do it short-term, and if you’re hanging on to them for business or tax purposes, you better be organized and up-to-date. Today I probably spent 3 hours going through this hellish little project. I call it Ikea bag of Idon’tknowwhatorwhy. 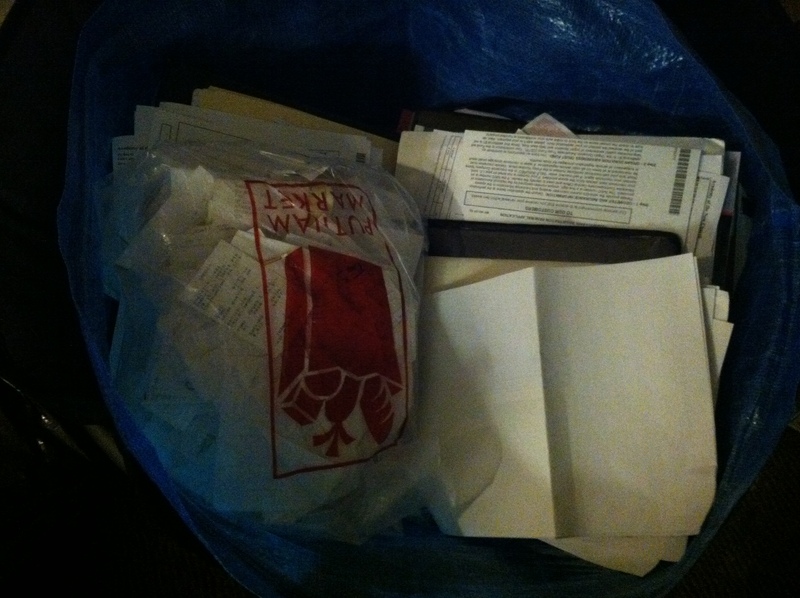 Bag o Paper n Crap somewhat sorted – after ~3 hours I had to neatly put it back to finish later! 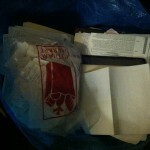 That means I sorted all the paper crap, put it into appropriate files, starting going through and shredding/sorting receipts, mostly trashing every other item, and getting rid of or putting other stuff in its appropriate place. I’ve decided to be more honest in this blog, so I guess I’ll have to admit to some of my imperfections. It’s a little easier knowing it will only get better, and that’s how I want my life to go! 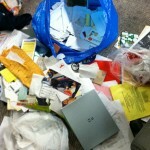 This entry was posted in Just Plain Crazy, Lettin' Loose!, Real Crazy Crazy, ways to save a buck or two and tagged decluttering. Bookmark the permalink.